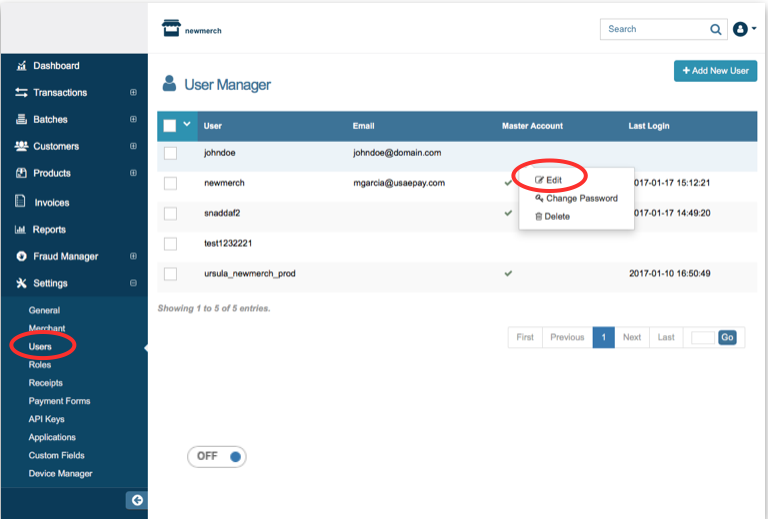 The Role Manager allows you to assign different roles to users, instead of manually granting different permissions to each new user. 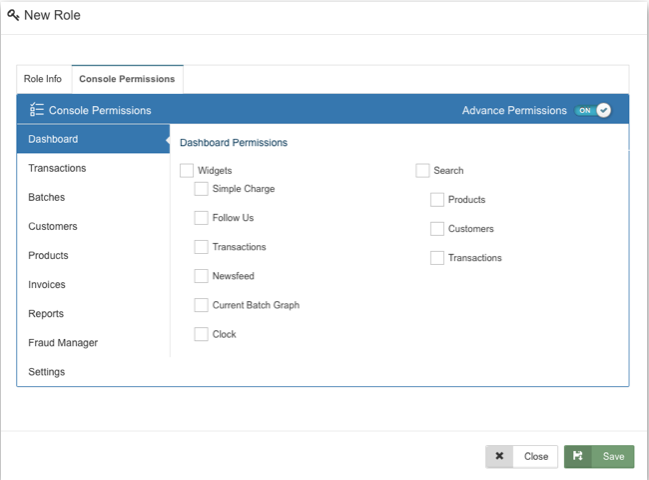 For example, you may have sales agents and developers who both need access to the gateway, but who do not need the same permissions. 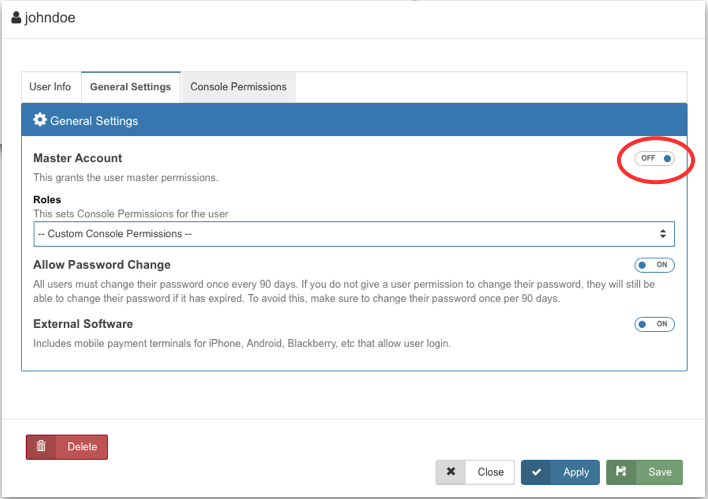 If you were to enter console permissions manually each time you created a user it might be fairly time consuming and you may even forget the specific permissions each employee was granted. 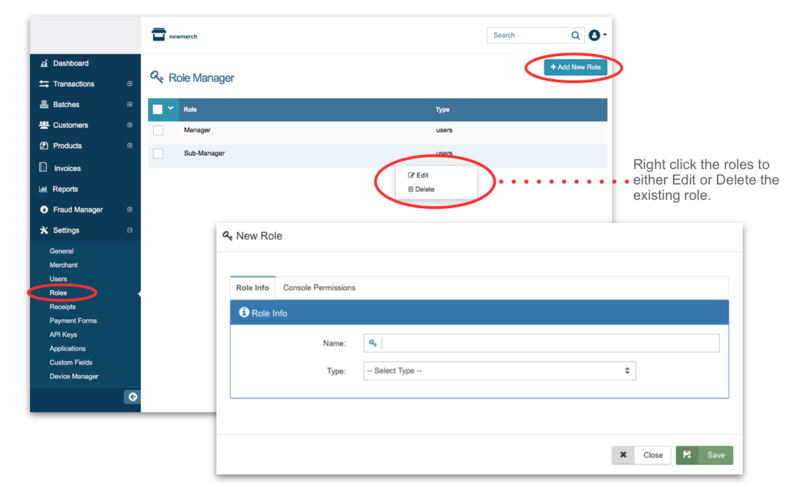 With Roles you could create a sales agent role and a developer role, and assigning permissions will be as easy as selecting the role from a drop down menu rather than going through each permission every time. Click on '+Add New Role' to create a new role. The New Role dialog box will then open. Type in the name of the role and select ‘users’ under Type. 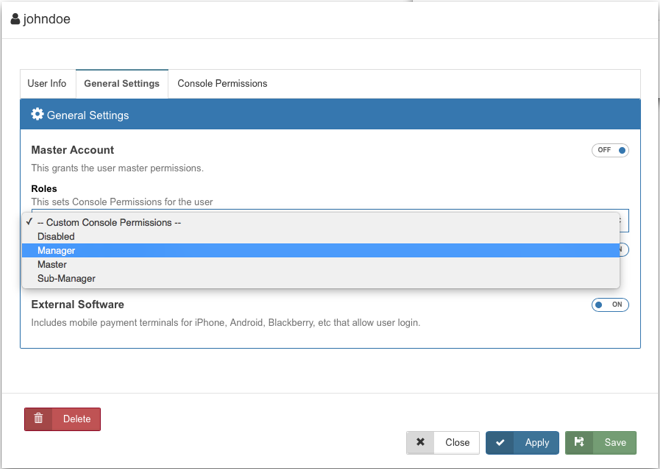 Under ‘Console Permissions’, select which permissions you would like to grant users assigned this new role by checking and unchecking the boxes. Then click 'Save' to save the new role. Under the ‘General Settings’ tab of the user, make sure the ‘Master Account’ function is 'Off'. Once it is turned off, the ‘Roles' section appears. Click on the box under ‘Roles’ to see the drop down list of all Roles. Select the Role you would like for that specific user. Click on 'Save' to save all changes.